There are so many amazing free things to do in Sydney, Australia’s most popular city! For most travellers who visit Australia, their big trip Down Under starts in Sydney. The country’s most populated city is truly beautiful, with a stunning skyline, captivating harbour, world class beaches and top quality museums. Sydney is also very multi-cultural, giving it a vibrant and youthful atmosphere. It can be very overwhelming for the first-time visitor to get their head around what to do in Sydney. With so many epic attractions, where should one start? And unfortunately, Australia is not a cheap destination. So for anyone backpacking in Sydney it can be pretty difficult to figure out what activities won’t break the bank. Even though one half of us is from Sydney, every time we return we always find new things to do. This time around we decided to base ourselves in the city and try to explore the best ways to spend a few days without handing over much money. After a few days of research we figure it out. 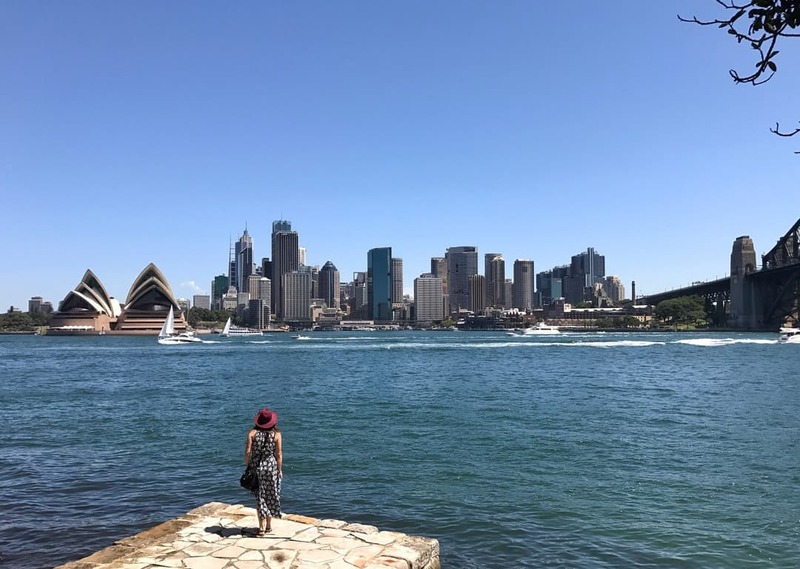 We’ve put together this great guide on 15 free things to do in Sydney, ranging from the awesome art galleries to hiking around the beaches and everything in between. 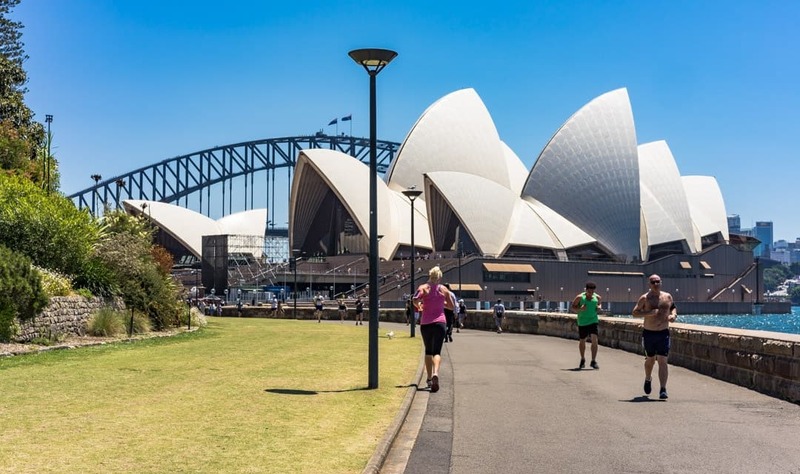 Just like elsewhere around the world, there are some great free walking tours in Sydney. It is a perfect way to learn about the city’s history and get some secret insider tips from a local. If you’ve ever been on a free walking tour in Europe then you know exactly how they work. You join an organised group at a designated meeting spot and walk around for 2-3 hours or so with a couple of breaks in between. There’s no cost to join, but at the end of the tour you can leave a donation at your discretion. In Sydney there is usually a tour in the morning and one in the afternoon. Make sure you wear good walking shoes! Here are two companies that provide the free walking tours around Sydney, and they operate every day. Near Archibald Fountain at Hyde Park every day at 10.30. Look for a tour guide in an orange t-shirt. The Sydney Markets, a concert hall, the City Library, offices for the City Council, at one point it was nearly demolished, and today is a vibrant complex that is occupied by 150 shops; retail, cafes and restaurants over 4 floors. The QVB is open from 09:00 to 18:00 daily. The best way to enjoy it is to simply have a coffee and take it all in. If you need there is free Internet now available inside. If you are still interested in the building and its history, you can join a tour for AU$15 per person, and it is about 45 minutes long. The tour starts 11:30 on Tuesdays, Thursdays and Saturdays. Just go and see the Concierge Desk on the ground floor. Another great thing to do is explore the rest of the building and head up to Level 3. Up here you can see the two clocks chime every hour. Royal Clock: Shows scenes of English royalty from King John signing the Magna Carta to the execution of King Charles I. This clock chimes on the hour from 9am until 9pm. 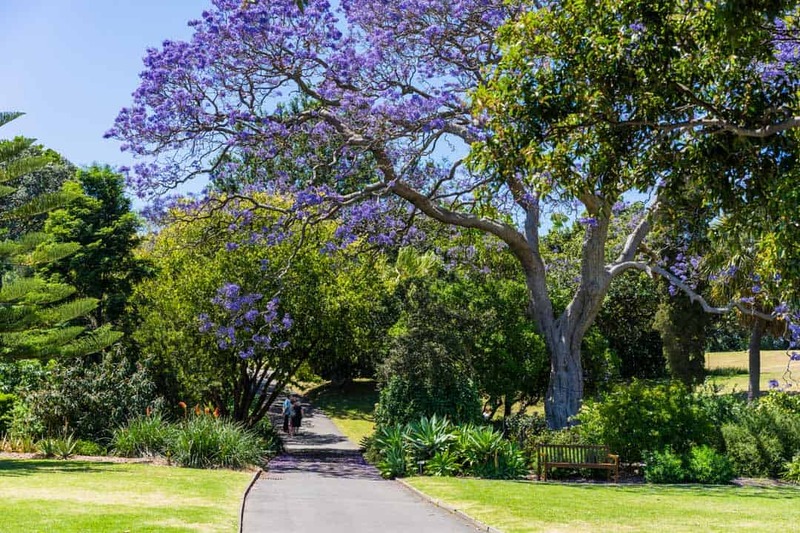 One of the best free things to do in Sydney is to take a walk through this is stunning garden, escape the hustle and bustle and smell the flowers, literally. The Royal Botanical Gardens are located near the Sydney Harbour Opera House and has some of the best views of the city and Sydney Harbour. 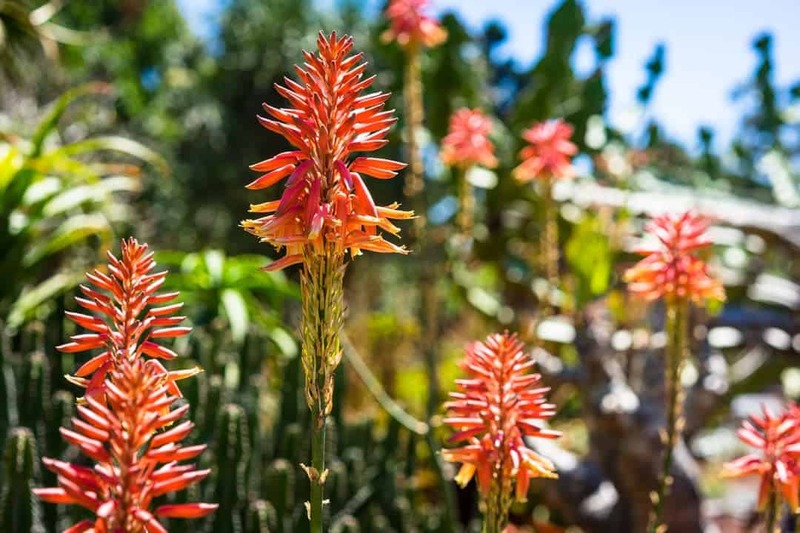 If you are really into plants or want to find out more about the gardens, check out the Royal Botanical Garden Visitor Centre. There is even free-guided walks from the centre, or you can follow a self-guided tour. If you’re the kind of person who loves getting outdoors, then Sydney is a perfect place for you! One of the best free things to do in Sydney is to just go out and explore all the amazing hiking trails that wind their way around the city. The one that should not be missed is the famous Coogee to Bondi walk that follows the coastline. 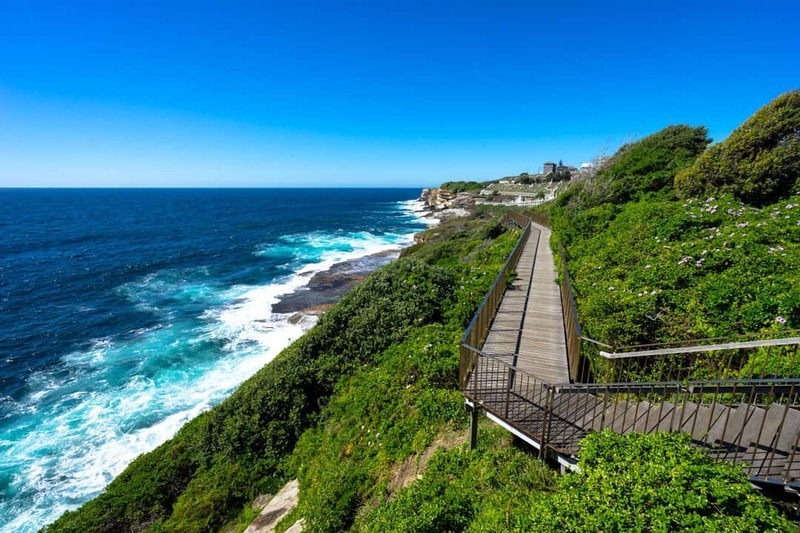 This gorgeous hike goes for 6km and connects some of Sydney’s most famous beaches. There’s epic views, funky cafes, pretty parklands, secluded coves and of course white sand beaches to swim at. It actually starts in Maroubra and ends in Bondi Beach, but you can do it in either direction (we recommend finishing in Bondi). It really isn’t a strenuous hike, but make sure you bring water with you. There are plenty of places you can fill up your water bottle along the way too. If you really want to make the most of this epic beachside location, why not decide to stay at Mad Monkey Hostels right on Coogee Beach? It’s the newest and most epic hostel in Sydney! You can start in either Bondi or Coogee (or Maroubra). Simply follow the signs to find the path. Note: There’s no direct transport connecting Bondi and Coogee. Take bus 313 or 314 between Coogee and Bondi Junction. From the city take a train to Bondi Junction. While Bondi Beach is by far the most famous beach in Australia, we personally believe Manly Beach is much, much better. 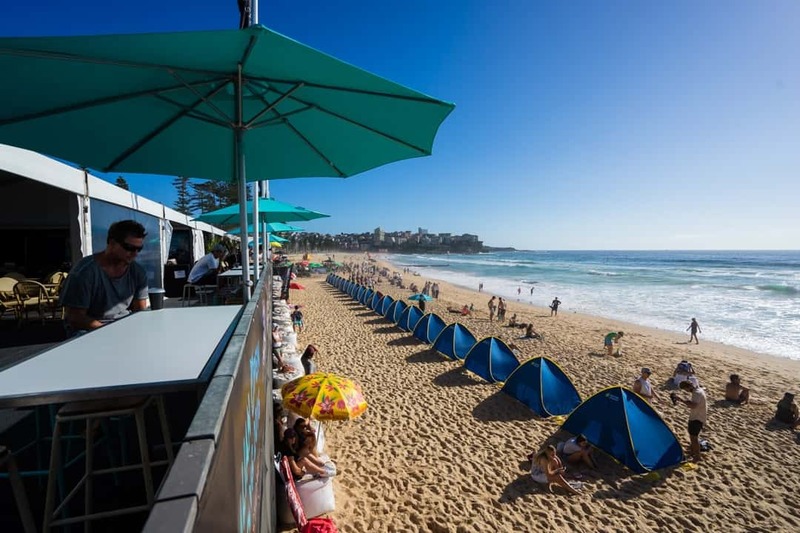 On a hot day (and especially on a weekend) you will find quite literally thousands and thousands of people spread out all over the place at Bondi, whereas Manly has a much more chilled vibe and better opportunities to escape the crowds. The appeal in Manly is the absolutely beautiful setting, with clean yellow sand, towering trees, a fun boardwalk and amazing cafes and restaurants the entire length of the beach. The Corso is the pedestrian mall that leads up to the beach, with tonnes of great shops and galleries in every nook and cranny. Manly is also the best jumping off point to explore more of Sydney’s Northern Beaches, which is one of the nicest places in all of New South Wales. Make a day of it and head over on the ferry. And our tip – it’s better to learn to surf in Manly than Bondi. A great day trip from Sydney. Getting There: Jump on board the ferry from Circular Quay to visit Manly. This also gives you a great opportunity to experience the sensational views of Sydney Harbour from the water. 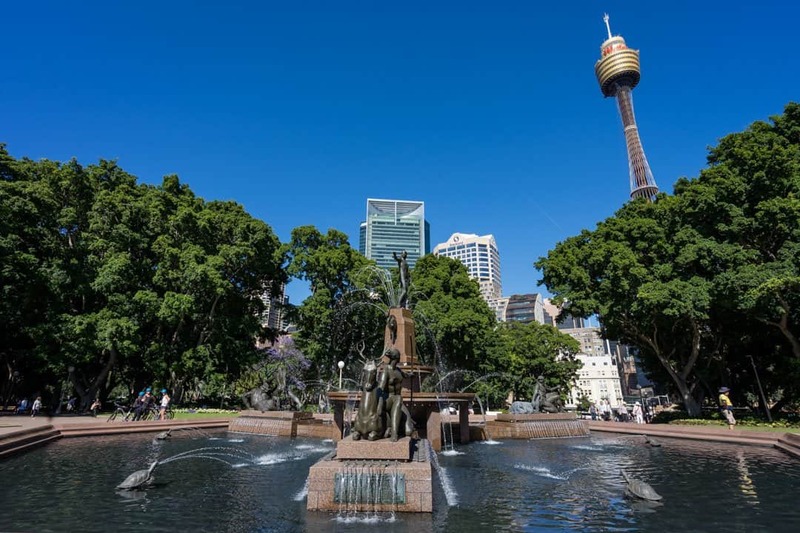 Hyde Park is a gorgeous green field spread out over 40 acres right in the heart of the Sydney. It’s also the oldest public park in the city! 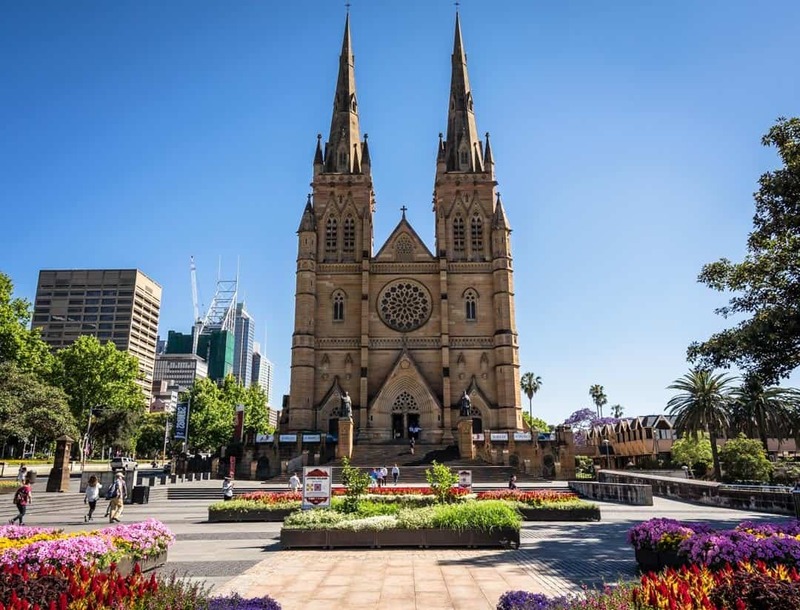 Hyde Park is surrounded by some of the best free things to do in Sydney, such as St Mary’s Cathedral (below) and the Archibald Fountain in the centre of the park. On a sunny day you can find lots of Sydney-siders chilling out on their lunch breaks, feeding the birds and just relaxing. The St Mary’s Cathedral on College Street at the end of Hyde park is the longest church in Australia. The idea for the church was first developed when Captain Arthur Phillip settled in Australia back in 1788, but it wasn’t until 1821 when construction first began. The original St Mary’s Cathedral was actually destroyed by fire in 1865. In 1868 the new church started to be built, but became an ongoing project that didn’t finish until 2000. Today with its spectacular Gothic style design and prominent location, it is a wonderful place to visit. Make sure you go inside to check out the stained glass panels and huge pipe organs. Entrance doesn’t cost anything, which is why it’s on our free things to do in Sydney guide. Circular Quay holds the title for being Sydney’s most Instagrammed place. This sensational harbourside location is constantly buzzing with people who bask in the unrivalled views of the Sydney Opera House and the Harbour Bridge. 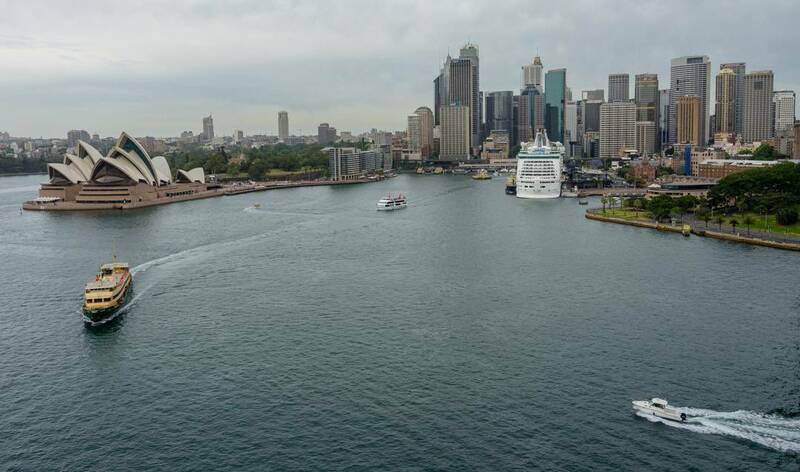 It is also the spot to jump on a ferry to Manly, North Sydney or Darling Harbour. 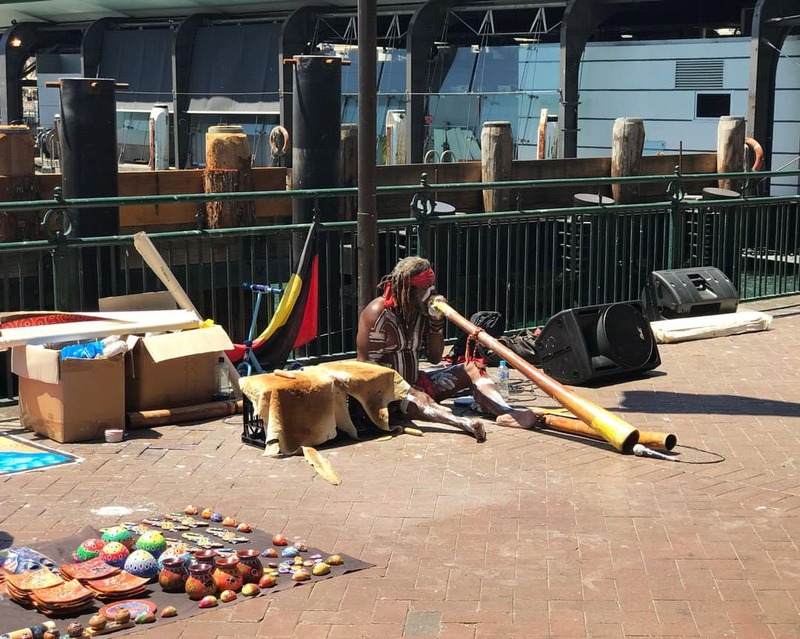 Besides the huge number of cafes and restaurants around Circular Quay, one of our favourite free things to do in Sydney is enjoy the Aboriginal music that the buskers play during the day. Every time we walk around the area we stop by next to the piers and listen to the hypnotising sounds of the didgeridoo from the very talented indigenous musicians who hang out. If you’ve got some coins in your pocket make sure you leave a donation, or if you’re really in love with the music you can by their albums. Otherwise enjoy the splendid atmosphere that Australia’s traditional instrument creates. Alongside the Harbour Bridge, the Sydney Opera House is Australia’s other best-known icon. Perfectly located on Bennelong Point at the end of Circular Quay, the Sydney Opera House has epic views over the harbour and towards the bridge. Designed by award-winning Danish architect Jørn Utzon, the Sydney Opera House was officially opened on the 20th of October, 1973. It is one of the most famous performance halls in the entire world, and more than 1.2 million people attend concerts, plays, theatre shows and symphonies at the venue every single year. Getting up close to this work of art is a wonderful experience, and one of the best free things to do in Sydney. If you’re interested in going inside the Opera House, there are a whole range of amazing tours you can do. Both the Art Gallery of New South Wales and the Museum of Contemporary Art Australia are completely free to enter. The fact that you can enjoy some of the most amazing art displays in the country without spending a dime is awesome! Both the art galleries are very different, and hugely fascinating. Even if you are not an art lover, just take a little peek inside and you will be surprised. 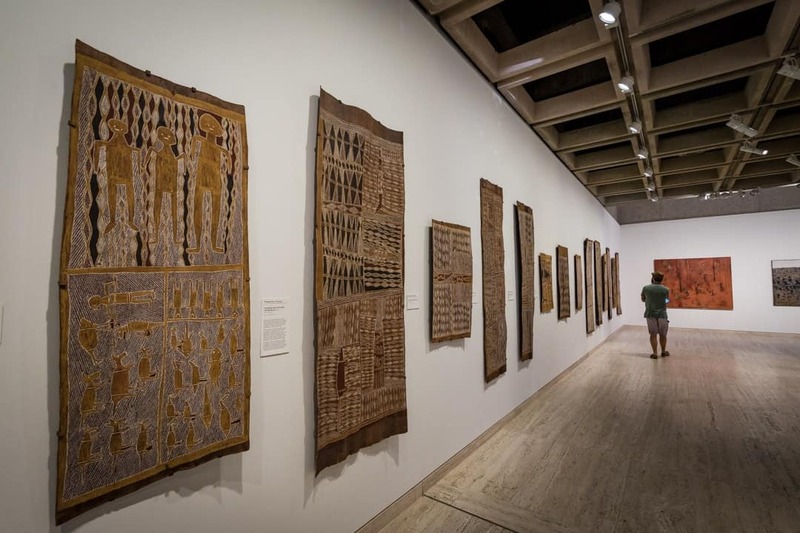 The Art Gallery of NSW is a collections of contemporary, modern & indigenous art displayed in a super cool classical-style building, founded in 1871. The Museum of Contemporary Art is a funky building down by the water near Circular Quay. Some of the exhibits do require an entrance fee, and these change every few months. It’s worth checking to see what is on when you get there. Climbing the bridge costs quite a lot of money, but walking across it doesn’t cost a penny! This is one of Australia’s biggest icons, and definitely should not be missed! There is a walking path on either side of the bridge so you can enjoy different views of Sydney Harbour. 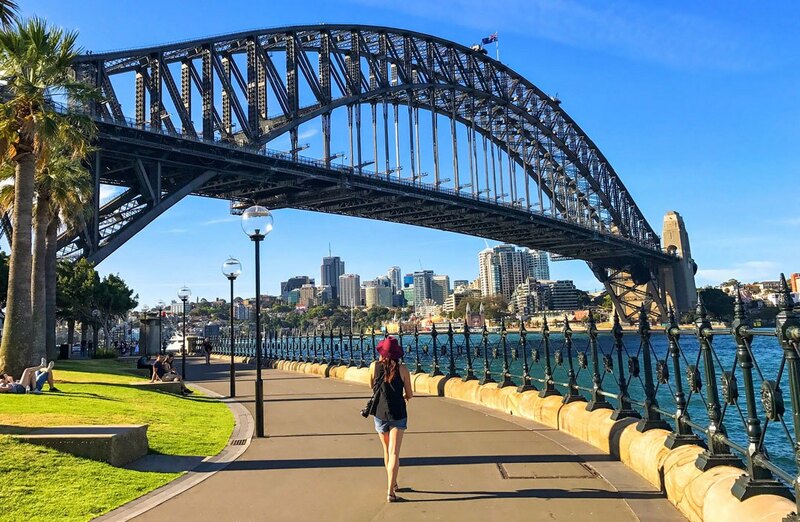 Here is some information about the bridge for you: The bridge was opened on the 19th March, 1932 and joins the Sydney CBD across the harbour to the North Shore. There are 8 lanes for motor traffic and two rail lines. Like everyone and everything in Australia, the Sydney Harbour Bridge has a nickname: “The Coathanger”. This is because of its arch-based design. The arch has a whooping span of 504m and reaches to 134m above sea level. It took 1400 men eight years to build the bridge, and cost 4.2 million dollars. When you walk across it, you are surrounded by 53’000 tonnes of steel. So crazy. 24/7, closed for special occasions. Sydney Harbour. Trust us, you’ll see it. We spent a surprising amount of time in this 3-story museum learning about the history and tales of The Rocks, from pre-European days right through to today. In case you don’t know, The Rocks is a historic suburb of Sydney, located right on the harbour and near Circular Quay. It used to be quite a poor, dirty neighbourhood reserved for the working class, but today it is a hip and trendy location with some of the best bars and restaurants in the entire country found inside the old, brickwork buildings. 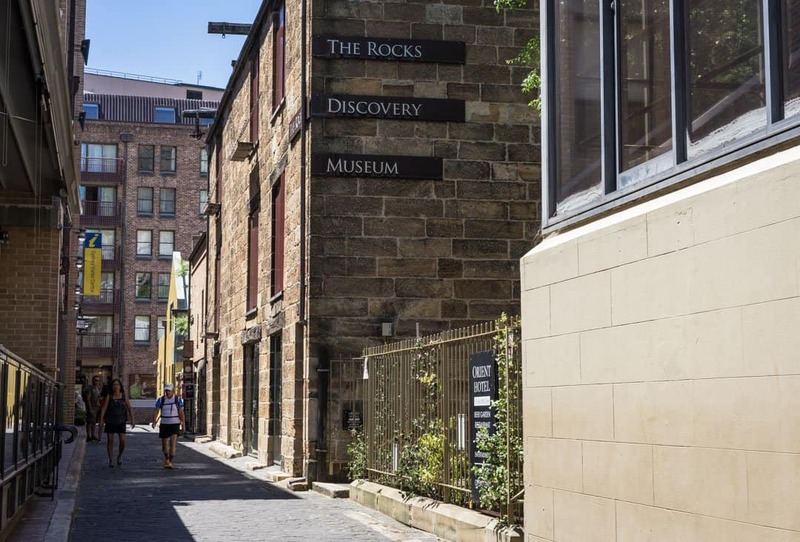 The Rocks Discovery Centre is free, family-friendly and is housed in a restored 1850s sandstone warehouse. The exhibits are really well done making it feel like you are back time. Adding to the education are sections with touch screens, audio and visual elements to bring history alive. We highly recommend visiting this museum as one of the great free things to do in Sydney! Observatory Hill is a very romantic place to enjoy the sweeping panoramic views of the Sydney Harbour Bridge and Darling Harbour. Bring some cheese and crackers and kick back while the world goes by. It is a grassy park with public artwork, a rotunda, tennis court and toilets. It doesn’t get much better here than in the evening during sunset, when the city is lit up beautifully and the views are magical. 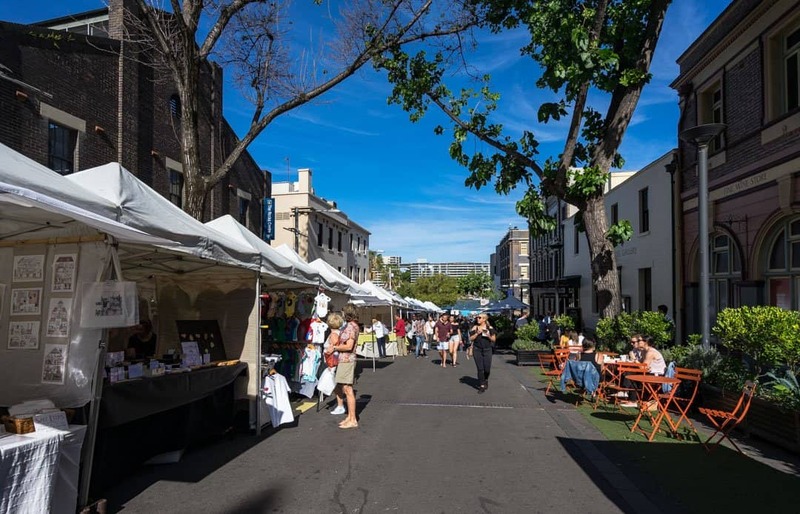 Sydney is famous for its weekend markets, and even if you aren’t in the mood to buy anything it’s always worth stopping by to check them out. Some of the most popular ones are listed below. One of Sydney’s most popular markets where you can find unique souvenirs, some great clothes or some food to treat your taste buds. It really does have it all. Nearest Train Station: Town Hall or Central Stations. Walk to the market. A great place to walk around, buy some goodies or have a coffee and take it all in. Combine it with a tour of The Rocks and get lost wandering around the alleyways between the old buildings. The Bondi Markets has everything from vintage clothing to retro furniture to homemade jewellery to arts and crafts. If you want something unique and old school then this is your market. Located a short walk from the famous Bondi Beach, you will find a vibrant, happening, festive event on the weekends. Getting There: Get the train to Bondi Junction, then the 333 bus to Bondi Beach. Walk to the markets. An open-air market featuring used and vintage fashion stalls and food vendors. It’s Sydney’s favourite pre-loved antique, vintage and retro market. Stallholders have been selling secondhand gear here for over 20 years. As they say, someone’s trash is someone else’s treasure, and we are certain you will find a real treasure here! Getting There: Take bus routes 440, 433, 445, or any bus in the 500’s. If you are coming to Australia then you just have to have a picnic or a barbecue! Known as “barbies”, these get togethers are what we Aussies do best! Bicentennial Park is 40 hectares of beautiful parkland just waiting to be enjoyed. From mangrove wetlands to gentle rolling hills to lakeside meadows and so much more, you really need to go see it for yourself. It is about an hour on the train so we recommend spending the afternoon there and making the most of it. There are all the facilities you could ever need such as picnic shelters, FREE electric BBQs, playgrounds, toilets, and if you decide to drive there is plenty of parking. It is a beautiful place to get away from the busyness of the city and take in the fresh air. There are many paths to walk around and you can even take the stairs to the top of the Treillage Tower for a great view over the wetlands, Homebush Bay and city skyline. If you want a break from all your walking, have a coffee or a snack at the café. It you want to get around on two wheels there is a bike hire shop there for your convenience. Do keep an eye out on their events calendar, as there are a lot of events on near the park during the year. When you first get to Sydney, get yourself an Opal Card. This is what you will use for the buses, trains and public ferries. It is a card that you can top up with money and use to pay for your fees. You can get a card from any 7/11 or store that has the Opal symbol displayed, as well as at all major train stations in the city (Town Hall, Central, etc). You can also top it up from these places. By using Opal Cards on public transport, you’ll enjoy daily travel caps and the $2.50 per person Sunday cap. Family Funday allows you to explore Sydney with unlimited travel on buses, trains and light rail for only $2.50 per person, while kids under 4 travel free. How cool is that! Purchase tickets from news agencies, convenience stores, train and ferry ticket offices. If you are unsure, ask the information offices or the reception at your hotel / hostel. 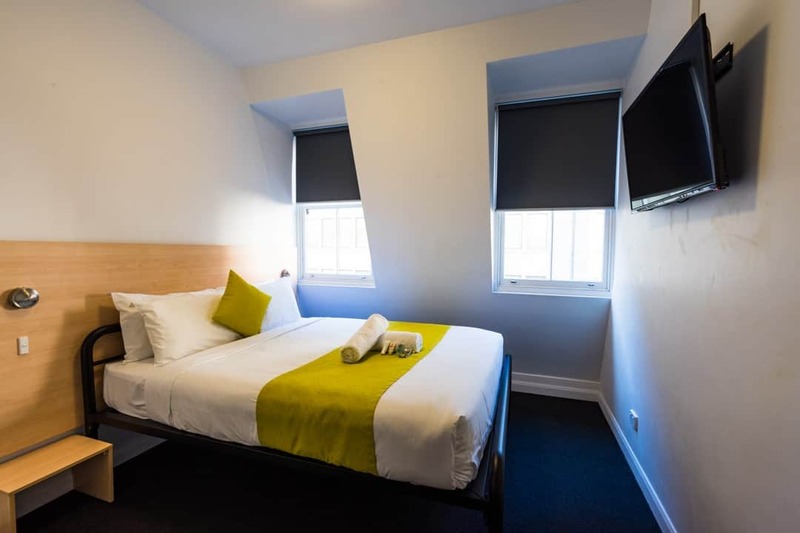 If you’re looking for somewhere to stay in Sydney that is not only perfect for travellers on a budget but also incredibly awesome with a great location, then you cannot beat Base Backpackers Sydney! Located on Kent Street, only a short stumble from Town Hall Station and surrounded by all the travel gear companies in the city, Base Backpackers is in the best spot to explore Sydney. 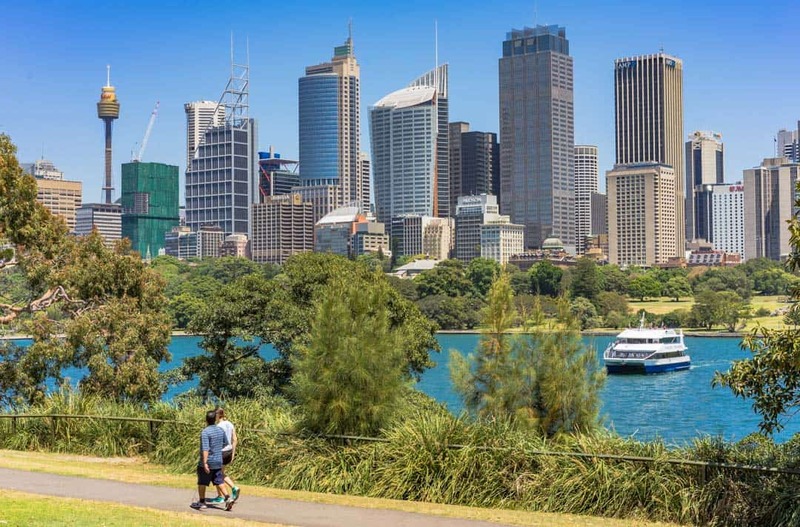 In about 15 minutes you’ll be at Circular Quay, 20 minutes to The Rocks, 5 minutes to Darling Harbour and 10 minutes to Chinatown, so just about everything you could want is very close. Being a backpackers hostel, the staff are all very knowledgeable at helping you find the best free things to do in Sydney, and they all know a good spot to head off for a drink or a cheap bite to eat. The reception area is always buzzing with people, which makes it really easy to meet other travellers. Next door is The Scary Canary bar, which may have the best meal and drink deals in Sydney! Every day of the week has a different special, so you’ll never get sick of eating there (and the food is realllllly good). Tonnes of events happen as well such as trivia nights and silent discos. Plus it’s one of the few places we’ve been where you can get a boutique beer for happy hour! Guests of Base Backpackers Sydney get even better prices as well – Just flash your room key. The actual hostel is massive! There’s lots of room for backpackers spread out over both dormitories and private rooms. The public kitchen downstairs is also one of the biggest we have seen in a hostel. There’s lots of great chill out areas, so whether you’re looking to just read a book or meet a wicked crowd, you’ll be sorted. Want to book a room at Base Backpackers Hotel? Book here through Hostel World. 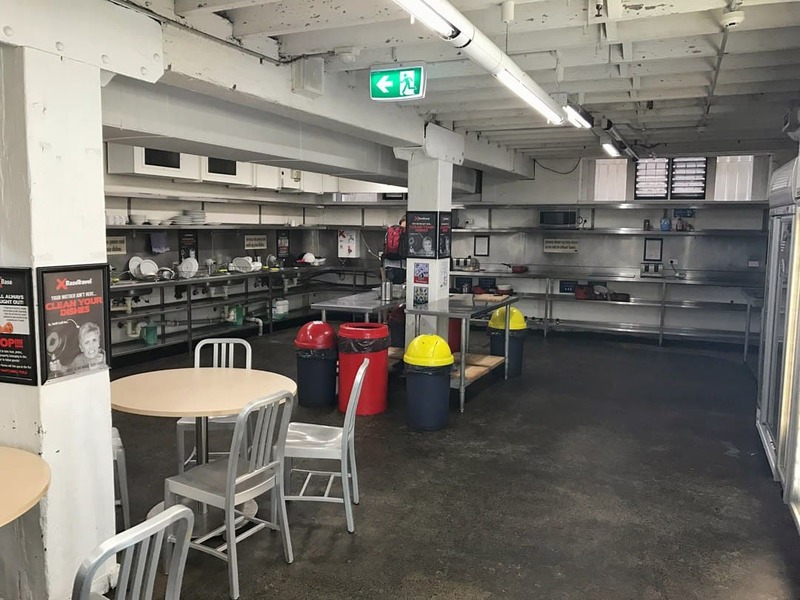 Now we have to admit that Base Backpackers Sydney isn’t perfect – we stayed in a private room, and while it was comfortable, we felt it was a bit overpriced compared to what else you can get in the city for similar value. Wifi also costs extra, which is a shame. But the price for dorms are very reasonable for being right downtown, and the cleanliness and atmosphere are second to none. 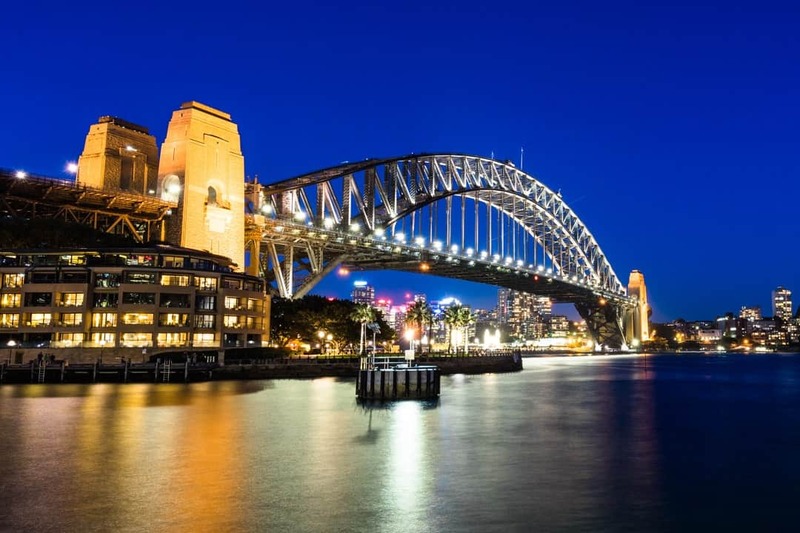 Additionally, you get to be part of their enormous network around the country and get access to their phenomenal prices for various attractions like Taronga Zoo! To us that’s worth it. 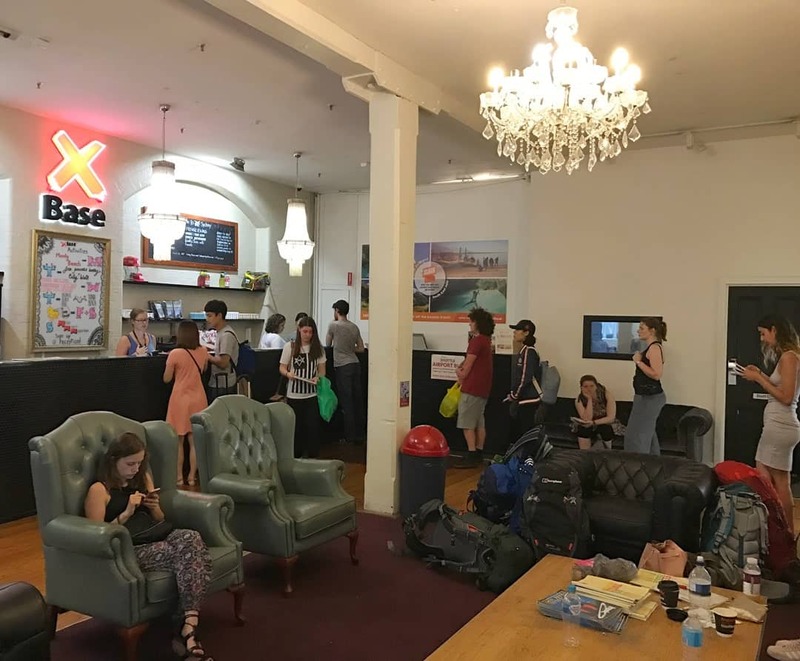 Arguably the best backpacker hostel in Sydney, Base Backpackers will have you covered during your stay. Check out their reception desk for some great package deals elsewhere around the country too. Have you been to Australia’s most popular city? What are your tips for the best free things to do in Sydney? Our accommodation in Sydney was covered by Base Backpackers. All thoughts, opinions and beers consumed at the bar are, as always, our own. Sydney is really a very nice city to be in. It is a true modern city indeed. I have recently visited Sydney and was as astonished to the itinerants of this city. Climbing the harbor bridge along with spending time at Bondi beach are two of the amazing experiences i will always cherish my life. Hi Jain, So glad you had a great time. It is a great city with so much to do. We hope you return one day and explore more. Very informative post, do you think that sidney is suitable for coupled honeymoon? Indeed it would be. There is so much to do in Sydney for any type of couple. You can go out for a beautiful dinner with a view, relax on the beach or get out into nature along the coastal walks which are only a short bus ride from downtown. Perfect for a honeymoon. Thanks for the great list. Sydney is just a great city. Nice! You’ve covered almost everything 🙂 I dunno if this counts as the city technically but I would add the blue mountains to the list too. The $2.5 cap on Sundays make the journey so worth it. 2 hours on the train to Katoomba or nearby, followed by an awesome hike for free! Thats awesome Shree. Thank you so much for this tip. The Blue Mountains is a stunning area to explore. Hi there! Thank you for this post! It’s really informative. I’m just wondering how much time do I need to spend in Sydney to cover the major attractions? Is 5d4n too long or short? That sounds like a great amount of time. There is so much to do around Sydney. If you find yourself with a spare day there is many beautiful coastal walks. Bondi to Coogee and Spit Bridge to Manly are both stunning. Have a great time here. Great! Sydney is a natural wonderland where lots of outdoor activities cost nothing. You don’t need a fat wallet to enjoy the glamour and chic of Sydney. Thanks for sharing! Good read! I covered many of these places while visiting a few years ago. I absolutely love Sydney and Bondi Beach. The Opal pass is so worthwhile for getting around. I experienced Manley Beach too. The market at The Rocks was fantastic. I booked my accommodation at Bondi through VRBO, which was a good experience too. Sounds like you had a great time Brenda. We totally agree with you for the Opal Card. Very hand and between certain hours of the day they only take this card, no cash. Bondi Beach is a beautiful place to chill. Thank you for sharing your experience. Botanical Gardens is one of my fave, really really awesome place for a picnic if you can be bothered! Same with us. We can’t believe how calm and beautiful it is and it is in the busiest city in Australia. It is a nice place to get away from all the craziness. Thank you for sharing. Awesome summary! We did a bunch of them, but unfortunately didn’t make it to Manly Beach. We loved the Coogee to Bondi Coastal Walk and I bought a gorgeous necklace at The Rocks Markets. The Queen Victoria Building is pretty impressive too. It’s a shopping centre in an old building, and the interior is absolutely stunning! Sydney is one of our favourite cities in the world! Just wandering through the parks, CBD, coastal walks, it’s all pretty amazing. We loved Geocaching in the city. It takes you through all these beautiful spots and shows you places you might have missed otherwise. Having a picnic at the tip of the Royal Botanic Gardens (with a view of the Opera House and Bridge) was definitely one of our highlights. We did this on Australia Day and stuck around for the fireworks over the Opera House. Just perfect! A picnic with a view is the best. We are stoked you guys had a blast in Sydney. Bet it got busy on Australia Day. The fireworks would have been impressive. Thank you for sharing.